Due to the Orangemen’s Day holiday on Monday, July 9, most City offices and facilities will be closed including the Access St. John’s front counter service. The City Council meeting regularly scheduled for every second Monday in the summer will take place on Tuesday, July 10 at 4:30 p.m. Garbage and recycling collection is unaffected by the holiday. As per the regular schedule, garbage and recycling will be collected on Monday. The Visitor Information Centre at 348 Water Street is open from 9 a.m. to 4:30 p.m.
All recreation facilities will be open and day camp programs are going ahead on Monday. The Bannerman Park and Bowring Park pools and splash pads are open. Parking meter regulations will be enforced, as Monday is not a shops closing holiday. 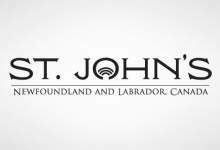 Access St. John’s Call Centre is accessible to residents 24 hours a day, seven days a week, by calling 311 or 709-754-CITY (2489) or online.